While never an elixir on its own, technology aids marketers in planning their budgets and spending their resources more efficiently. A scientific and data-driven approach to marketing, facilitated by technology, aids marketers in setting higher goals that they can later show have been accomplished or even surpassed. Marketers today face a dynamic, evolving environment with a packed vendor landscape, online channels that are constantly multiplying, leading to complete digitization of customer cycle. Moreover, the customer they serve is much more empowered and in control now and can set the terms of their purchasing process due to the unrestricted access to content via multiple channels like a vendor’s website, a third-party review site, a news report, even advice from social connections. The customers conduct their research, on their own time, and arrive on their own purchasing decisions, more often engaging with sales at the last possible stage only of the evaluation process. That makes it critically important for marketers to nurture buyers for longer, and closely administrate the customer experience. 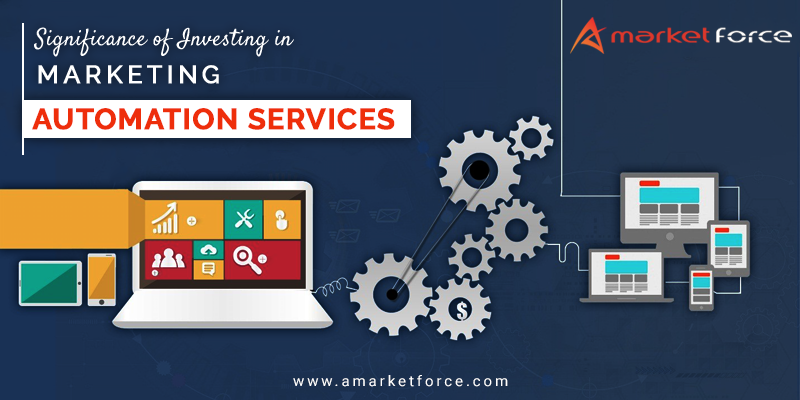 Because of that, technology services like marketing automation services have a more prominent role to play than ever before. Marketing automation acts as control center for businesses. It provides them with the tools to ensure that the brand stays relevant for buyers throughout their decision-making process and enables marketers to automate and trigger engagements based on the buyer behavior. It provides the ability to effectively nurture and score buyers based on who they are and the actions they take and streamline the execution and reporting of multi channel campaigns. The most crucial strategic goals for B2B marketing automation are creating higher quality leads and increasing revenue. Companies need to ensure that they have maximum clarity around their marketing and sales objectives, and have the processes in place along with the technology to help them achieve this. By clearly showcasing the advantage that marketing automation services are providing, the marketers are in a better position to ensure the further organizational commitment that may be required to utilize the technology more effectively. Marketing technology comes in a variety of shapes and sizes. There are many B2B lead generation companies in California. With so much choice, there is no surety that each one of these solutions is going to result in a tangible return on investment for customers. However, the increase in competition has refined the capability and quality of marketing technology across the markets, leading to a technology that aids in better performance for marketers in the context of their business goals. With sums involved in marketing technology investment rising substantially, the need for marketing personnel to build more robust business cases for investment has also increased. Marketers are under more pressure to quantify how marketing technology can help their companies achieve their goals, and how these marketing objectives translate into improved business performance. A more technology focused and, ultimately data-driven approach to marketing has helped companies set ambitious yet achievable marketing goals.